There’s nothing quite as nice on a summer day than a juicy green apple. Case gives us that and more with the Case Green Apple Bone h ndles. 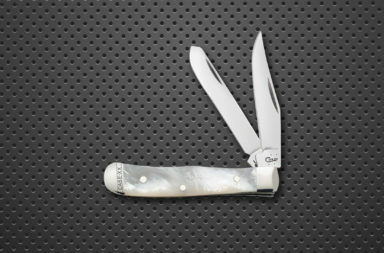 This small stockman pattern features jigged green apple bone handles, three Tru-Sharp surgical stainless steel blades, and brass pins and liners, and nickel silver bolsters and shield. At 2 5/8″ closed, this knife slips easily in the pocket. You can never go wrong with Case. While Colt is best-known for its firearms, they’ve been producing some quality pocketknives with their overseas partners. The Colt Buckshot Bone Moose is part of a series that is simply gorgeous. The stippling detail in the bone handles is marvelous, and that doesn’t touch the decorative nickel silver bolsters and shield. 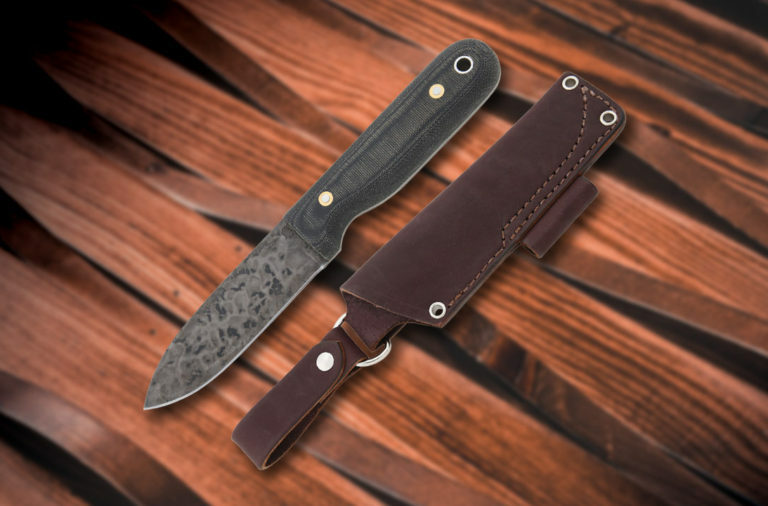 At 4 3/8″ closed, the large moose pattern is a hefty pocketknife, and the 440A Stainless steel clip and skinner blades feature a frosted blade etch (on the clip) and very stylish swedging. Rough Rider is known for its high-quality materials and craftsmanship at a price point that will not break the bank. Every knife in the Rough Rider Stoneworx series is individually fitted with the finest materials, and no two are ever alike. Each piece is hand cut and hand inlaid to achieve the best selection for each knife. Anything less wouldn’t be a Rough Rider. The features on this Trapper include 440A stainless steel blades, synthstone handle inlay (that look like and feel like the real deal), genuine abolone and mother of pearl, ringed and fluted nickel silver bolsters, and brass pins and liners. This is the large trapper pattern at 4 1/8″ closed and an excellent knife to add to a collection or at this price point, carry every day. 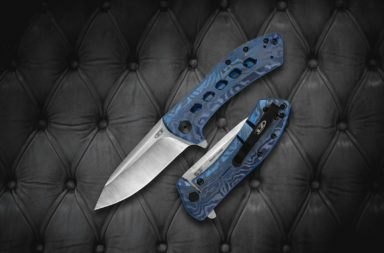 Cold Steel produces some of the highest quality knives. They’re tested and true. TheTuff-Lite is tough enough to do the job and light enough to be handy. It’s perfectly sized to slip into a pocket, clip to your waistband, or wear around your neck on a lanyard. It offers a 2″ long, wide, hollow ground blade that’s mercilessly sharp and can shear through the toughest materials with unexpected ease. It’s highly useful for precision work and delivers deep penetration. The Tuff-Lite features include Japanese AUS-8A stainless steel blade, thumb hole for quick opening, grivory handle, a lanyard hole, and a reversible pocket. The blade is 2-1/2″ and 1/8″ thick. This knife is only 3-1/2″ closed. 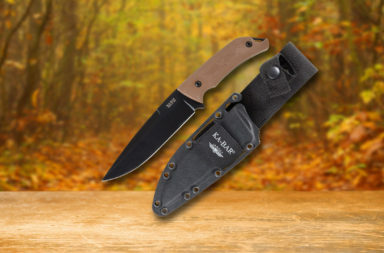 This is such a well-built, handy little knife, and it comes in at a great price point for CRKT. 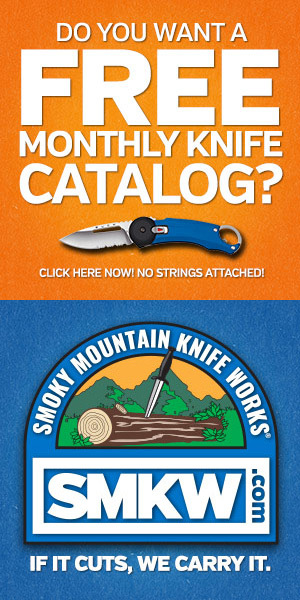 The 2 3/8″ drop point blade is 8Cr13MoV Stainless steel and 1/8″ thick. Its features include an ambidextrous thumb stud, 2Cr13 stainless steel handles, pocket clip, and a lanyard hole. 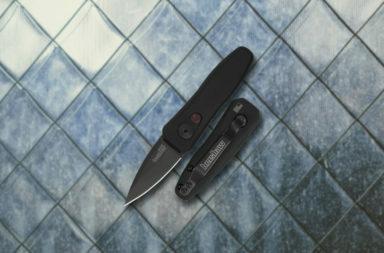 This knife is only 3 1/2″ closed and slips into a pocket easily. Just a note. This is my favorite EDC. It’s an incredible little knife, so I’m completely biased. I think everyone should have a Kershaw Chive. The USA-made Chive features state-of-the-art technology and design! 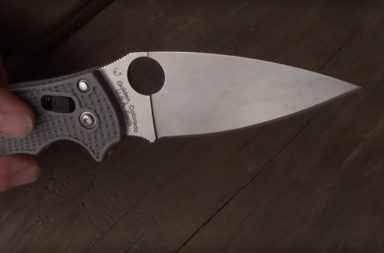 Award-winning knife maker, Ken Onion began a quest to create the perfect knife as a Marine machinist. Inspiration struck years later as he repaired a Harley cam for a friend. The result is the amazing Speed-Safe system incorporating Torsion Bar Technology that allows you to simply flick the flipper with a finger and the knife is open and locked into place. 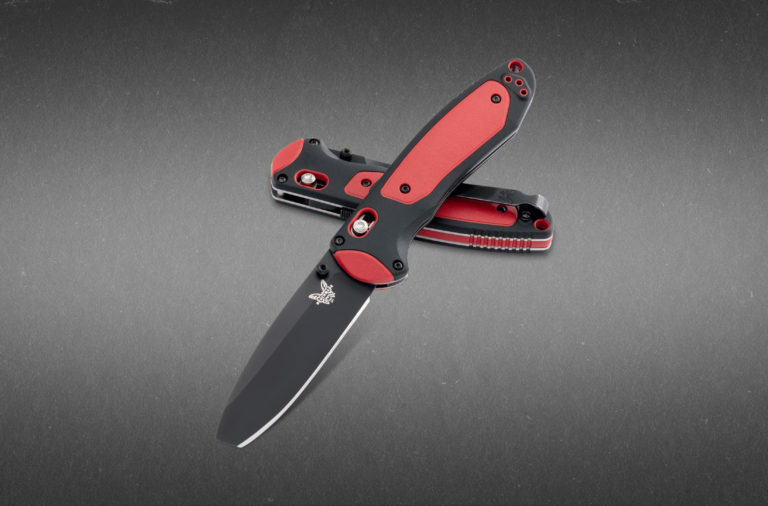 The Chive’s features include a 420 HC stainless steel 2″ clip point blade, a thumb stud, thumb flipper, SpeedSafe assisted opening mechanism (that is lighting quick), 410 stainless steel handles, the framelock safety tip lock, a lanyard hole, and a removable pocket clip. 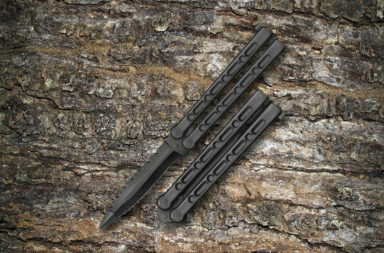 At 2-7/8″ closed, this knife almost disappears in your pocket. 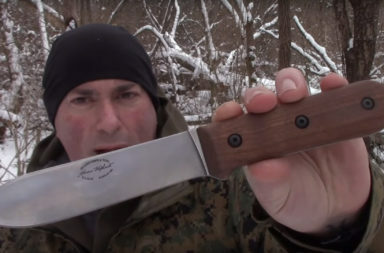 This is just a gorgeous hunting/tactical fixed blade knife made in the USA by Buck Knives. 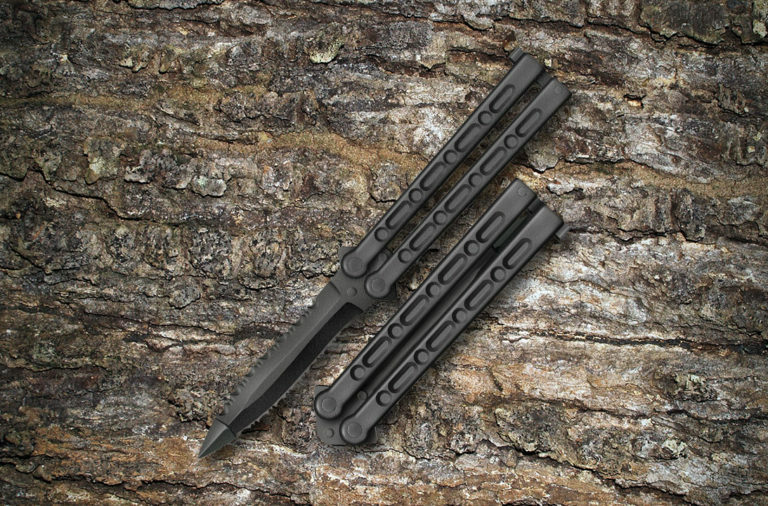 Its features include a 6 3/4″ black traction-coated 420 HC stainless steel drop point blade, thumb ridges, injection molded black nylon handles, double rivets and double lanyard holes. It’s 11″ overall and comes with a heavy duty nylon sheath. This is just a pretty little traditional hunting knife made by Marble’s overseas partners. At the $9.99 price point, this knife cannot be beaten. Its features include a 3 5/8″ clip point stainless steel blade that is 1/8″ thick, gorgeous stag handle, brass guard and pommel with brown composite and brass spacers. It’s 7-1/2″ overall and comes with a genuine leather belt sheath. 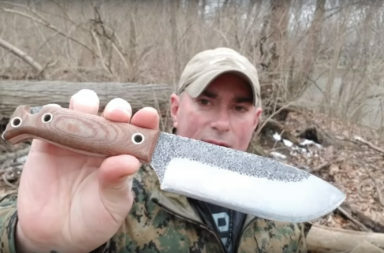 The Big Rock is an outstanding hunting and camp knife. The Bill Harsey designed fixed blade features include a 4 1/4″ Drop point, 440A stainless steel blade that is 1/8″ thick, full tang construction, glass-filled nylon handle with Softgrip overmold with textured grip points for maximum comfort and control, double rivets, protective finger guard, and a lanyard hole (compatible with 550 cord). 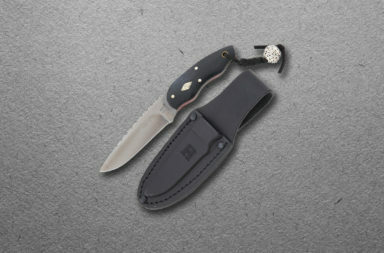 It’s 9 5/16″ overall and comes with a nylon belt sheath with protective insert. I just had to include this Reate Knives Horizon. Yes, my wallet is far lighter today, because I had to have one of these incredible knives. This stunning adaptation of the Horizon platform features a 3D machined carbon fiber handle with a subtly fanned flute milled pattern and 6Al4V titanium framelock. The handle has blue anodized hardware and back spacer, while the titanium pivot and pocket clip have also been dressed up with a topo-style etching. Keeping up with the upgraded nature of this fine folder is a Bohler M390 steel blade with a stonewash finish and flipper opener. Set on a multi-row ball-bearing pivot, the blade whips open with aplomb. This Reate Horizon is a true beauty, with the build-quality and action to back it up. The drop point blade is 3 3/4″ long and 1/8″ thick and the whole knife closes to an impressive 5″.